Renault's business quality commitment programme makes it easier than ever to equip your workforce with the right vehicles for the job. Whether you need new or used Renault fleet vehicles, DSG have a huge choice of cars and vans to keep your business mobile and productive, whatever industry you're in. 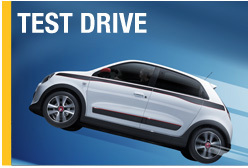 Perhaps you need a small fleet of new Renault city cars for your sales team. Maybe you need a set of second hand Renault vans to courier goods across the country. 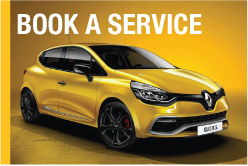 It doesn't matter – with DSG as your Renault fleet supplier of choice, you'll receive a consistently high standard of service, as well as a superb choice of fully serviced and checked Renault fleet vehicles. A variety of business leasing and contract hire offers, meanwhile, provides welcome flexibility and value for money. 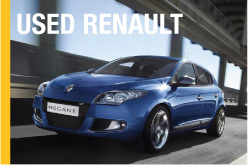 To find out more about Renault fleet and business sales, please call us on 01524 848000 or visit the Renault business sales website.